Don't Fight it, EZ Glide it! When a sliding door doesn't work right, the problem is often that the rollers have come off the track, so first check to be sure they're on the track properly. The bottom rail should appear centered under the door frame. If it is not, lift that side move it while looking down on the track and set it back down. If this doesn't solve your problem the next step is to thoroughly clean out the track. Built-up dirt or loose debris can cause a door to stop sliding and ride off the track. Use a wire brush to clean off the dirt or debris. Use the blade of an old screwdriver to pry stubborn dirt loose. Once you've cleaned the track, lubricate it with silicone spray or a little paraffin to help the door ride smoothly. Sometimes, with a sliding door, it isn't the track working improperly; it's the catch. To reshape a bent catch, remove it and clamp it in a vise. Using pliers or a hammer, bend the catch to the proper angle. Replace it, and check the latch operation; it should click as the door closes, and it should have to be depressed fully for the door to open. Replace a malfunctioning catch or one that is worn or broken with the same model. If the previous steps have not solved your problem, then you have to remove the sliding glass door to check the rollers. At least 75% of sliding door hang ups can be attributed to the bearings inside the rollers being worn out. Doors generally have 2 or 4 encased bearings; if any one of these is worn out or locked up entirely then we suggest replacing all of them at that time. It is important to install the proper wheels or you will have serious problems with the sliding door. These bearings and wheel sets are installed in many different ways and some methods of attachment require taking out bolts that keep the frame of the entire sliding glass door together. We highly recommend not doing this yourself without suction cups and great care. Shattered glass on a slider will cost on average from $375 to $700 to replace. If your not the do it yourself person, then we suggest calling a glass company or a company experienced with sliding glass door repairs. 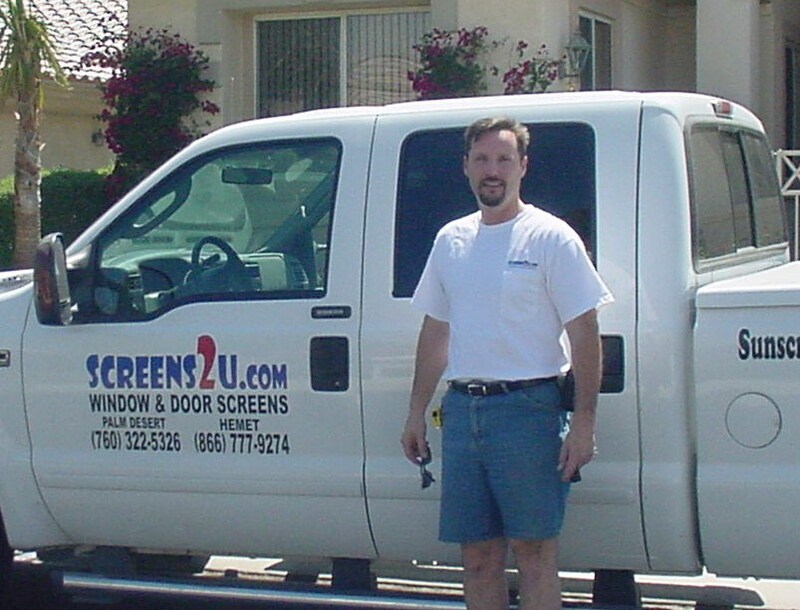 Here at Screens2u.com we have the experience and knowledge to solve sliding door problems quickly. Our mobile service comes to you stocked with replacement parts and in most cases can fix your door in one hour. Chronic Sliding door problems? Here's what to do.